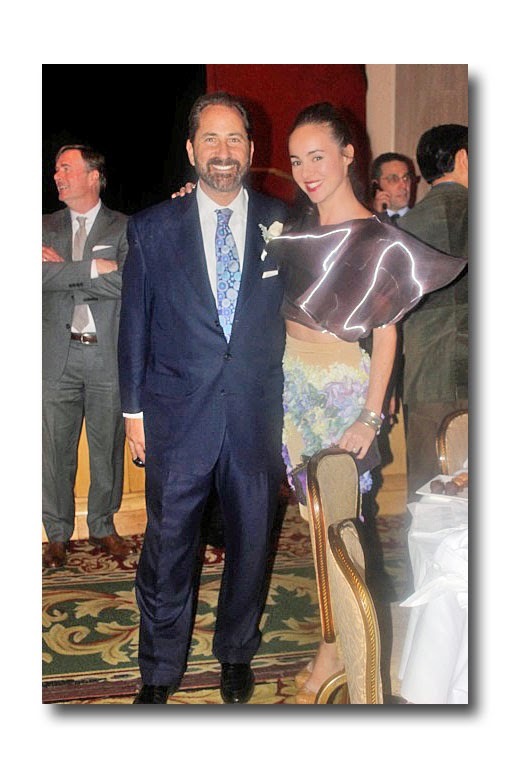 The YMA Fashion Scholarship Fund in collaboration with the Geoffrey Beene Foundation held its annual dinner at the Waldorf Astoria on the coldest day of the year. However, the inclement weather was no deterrent to the 1,700 people who showed up for this essential charity event supporting young designers. 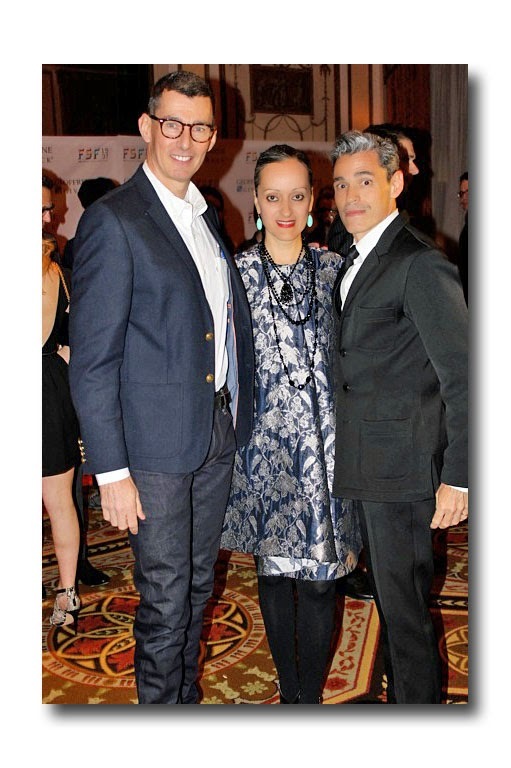 There were numerous notables present including Vera Wang, Isabel and Ruben Toledo, Joseph Abboud, Mariano Rivera, Liz Smith and Rosanna Scotto. The cocktail hour was teeming with people and the dinner crowd spilled over into the balconies of the Grand Ballroom. 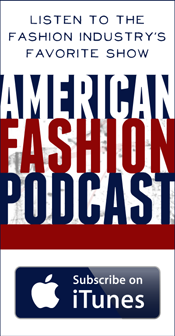 The goal of this pivotal not-for-profit organization is to encourage students seeking careers in the Fashion Industry to pursue their goals by giving them money to start their profession and providing them with mentors to help accelerate their progress. The Geoffrey Beene Foundation has committed $5 million through 2016 to help these entrepreneurs work towards jobs in design, retailing, merchandising and business. The award is granted to 125-150 students and ranges from 5,000 to 30,000 dollars. Two students Jameel Mohammed and Dhesh Padiachey, who were granted $5,000 scholarships as Wharton Business School students, recounted how critical this money was in getting their collections off the ground without the prior capital constraints they had endured. 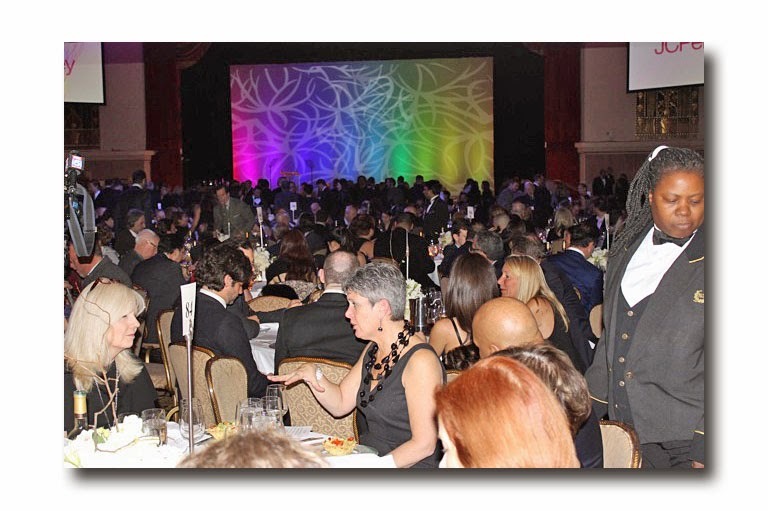 YMA President Paul Rosengard announced that this year's dinner was the most successful in history raising over $3.3 million with more than 1,300 people in attendance. The evening started with Rosanna Scotto as the master of ceremonies asking some meaningful fashion questions such as, is yoga apparel passable for daily wear? And if love is blind why does your husband ask you to wear lingerie? On a more serious note the night's honorees including Chip Bergh, CEO of Levi Strauss, designers Isabel and Ruben Toledo, fashion icon Iris Apfel, and Doug Ewert, CEO of Men's Wearhouse, gave some invaluable advice to the students in the audience. Chip Bergh, recounted his lengthy 28-year career at Proctor and Gamble and his subsequent move to Levi Strauss & Co. which he said is the best apparel company in the world because it is committed to obtaining the best talent. Chip spoke of the importance of being humble and grounded and looking for the best in others while not being afraid of missteps. Bergh described how he continually learns on the job by asking questions and how much essential information he acquires from walking the stores. Another legend, Patti Labelle, then introduced Isabel and Ruben Toledo, but due to a broken teleprompter ended up with a speech that basically said "hey man" and "hey girl" to Isabel and Ruben. Isabel then told the crowd that even after 30 years in the business she never forgets to be a student and told me she would love to dress Eva Longoria and missed her dear friend Oscar de la Renta. Toledo is also very excited about collaborating with MAC on her new makeup collection launching in February. Liz Smith, looking thin and fragile at the age of 92, was there to introduce Iris Apfel who Liz said became a celebrity at the youthful age of 83. Iris, who did not attend because she laid infirm in Palm Beach, joined the audience via skype describing herself as a "geriatric starlet" and lamenting that she wishes she could be 88 again. 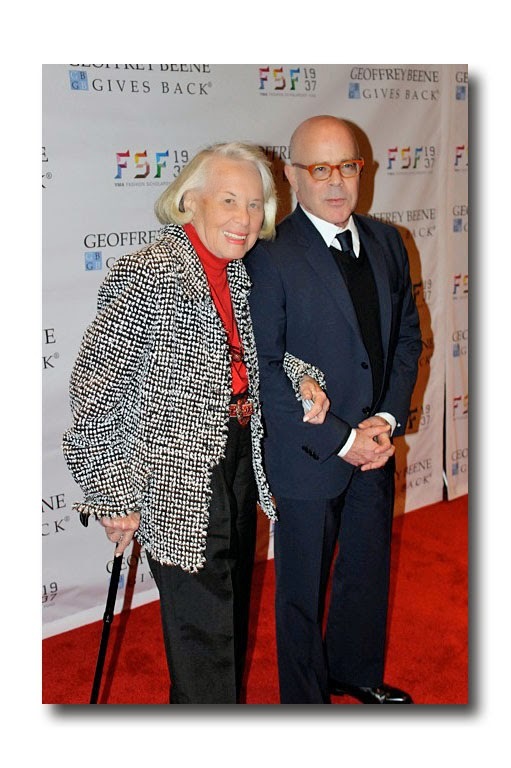 Apfel who received the Lifetime Achievement Award said her primary achievement was still being alive and how fortunate she was to still be married to the same man after 67 years. Iris had the crowd in stitches when she said the only flame that had burned out between her and her husband was the one under their cooking wok and her wit and clarity made her the star of the evening. 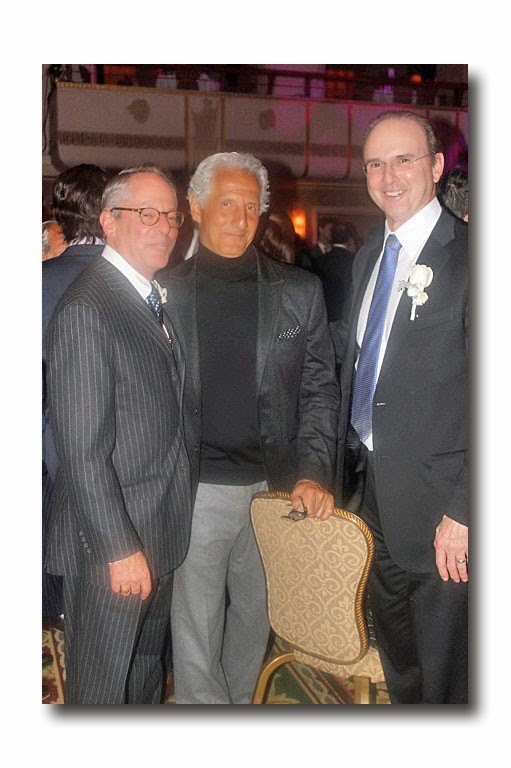 Another luminary, Joseph Abboud, the Chief Creative Director at Men's Wearhouse, spoke of Men's Wearhouse as the largest specialty male retailer in America due to CEO Doug Ewert's expertise in tailoring and Ewert's commitment to the creative process as much as the bottom line. Abboud, looking like an old time Hollywood movie star, said that the kids at this dinner were heroes and he wishes he could trade places with them because so much excitement awaits them. When I asked Abboud his greatest career regret he said, "any time I don't trust my instincts things don't work out." At the conclusion of the event, Doug Ewert arrived on stage to receive the "Retailer of the Year Award" and observed that the fashion business was undergoing exponential change as consumers have myriad choices at their disposal and therefore, it is critical to constantly reinvent yourself, despite inevitable mistakes. Upon leaving the ballroom I bumped into a student dressed in her own design of a purple flowered skirt and a ruffled purple shirt. She expressed her enthusiasm at winning a scholarship and conveyed how much time and energy she had spent designing her outfit because she felt the event was a great networking opportunity. 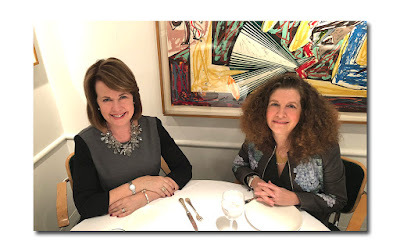 Her excitement and enthusiasm was the "heroism" that Abboud had described reminding me why dinners such as these are consequential-they give those that possess the talent the opportunity to flourish and make the fashion world a more magnificent place.